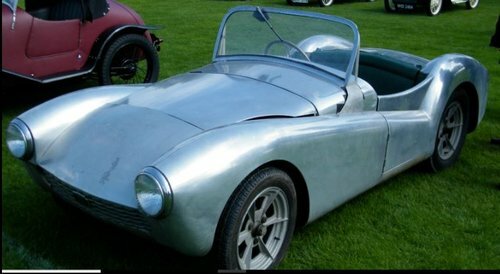 Probably the only chance to buy a set of nineteen aluminium panels hand made by S.E.Hamblin to fit an Austin Seven . He planned to sell kits but soon discovered fibre glass and sold many Cadet bodies . 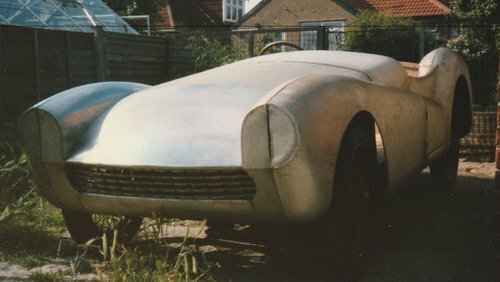 It has never been built into a car . I have collected nearly all the components needed to build the car . 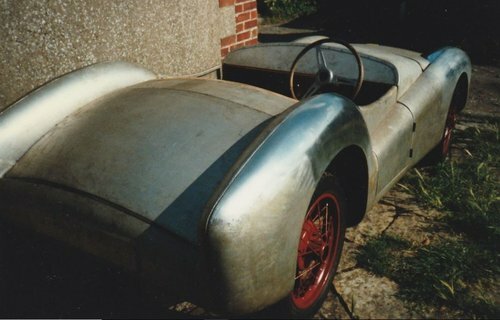 I have a 1934 chassis which has been boxed and fitted with a Bowden type independant front suspension . The brakes have been converted to hydraulic operation . 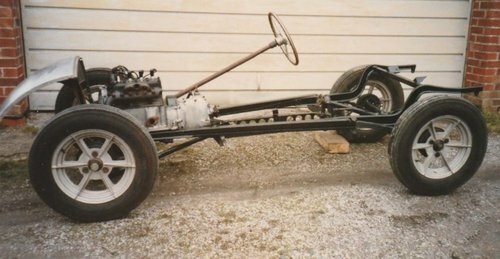 It has a long steering column and split track rod .The engine gearbox and rear axle are all standard Ruby and working OK . The remote gear change works which is unusual for a A7 special .I have four original Speedex alumininium wheels . 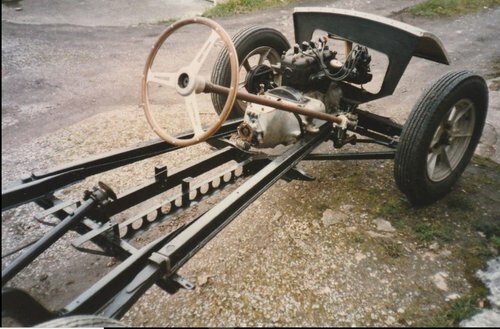 I used to take the panels to the Historic Specials Day at Burford where I would lay out all the parts and assemble them to display and dismantle at the end of the day . Gradually I collected more parts and displayed them at shows . 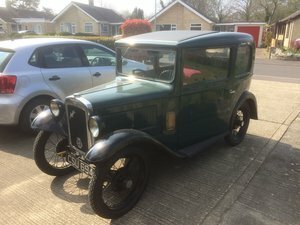 I assembled the parts loosely to display including the Austin Seven 90th. celabration . The kit will need to be properly assembled before using it as a car . I know of only two other Hamblin De luxe cars and Tom Hamblin who keeps a register of Hamblins knows of no more .